“Hi, pretty! I sent you a photo.” It was Christian. I managed not to make face, just half-rolled my eyeballs, picked up my other phone and hurriedly checked on Facebook. Christian sent you a photo, said the notification. I clicked on the message icon and waited for the photo to load. “Did you see it, pretty?” Another text message from him. There he was again, calling me pretty. I was pretty aware of how plain and shabby I look, and he’d always address me like I was the prettiest woman he’d seen. Nevertheless, he always sounded sincere, and so I’ve got the luxury of feeling pretty. That’s not too bad. “So how is it?” His third message. My connection’s always like this, making me wait for like a hundred years. 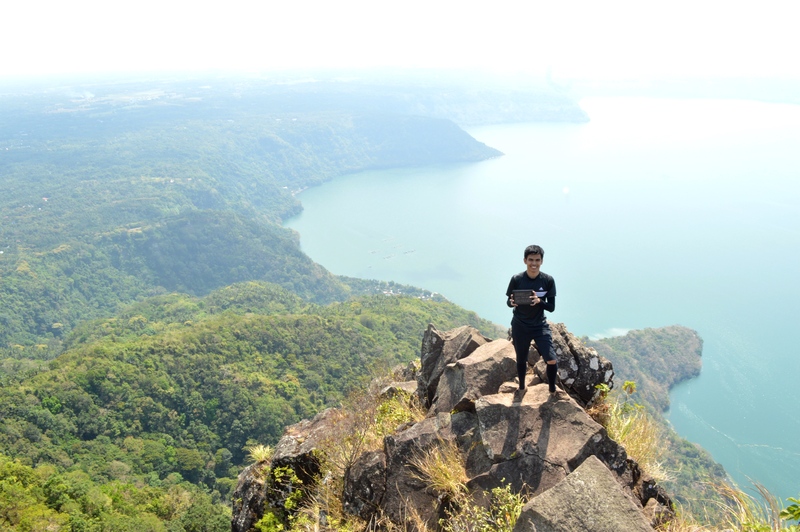 I closed and opened and closed and opened my messenger until I finally saw a photo of him standing on top of a high terrain. I could see rocks, and trees, and a huge body of water from the background. He was holding something, and I could tell it was his ipad. He looked handsome, and manly. And I smiled. “Well, the view’s great. Is that the summit?” I knew he was into mountain climbing lately, and that time he just successfully trailed Mt. Maculot. “Yes, but how about the question? I mean, the one written on the ipad, did you see it?” I was startled for a moment. Something was written on the ipad, but I didn’t see anything, and I didn’t think something could have been written in there. I just thought it was weird for him to hold his ipad in that near-cliff spot. And so again, I looked at the photo, zoomed the part where the ipad was. I knew he wanted me to be his girlfriend, again. He started courting me for quite some time now. But this one seemed like it was the first time I’ve known of his intention, of wanting to make me his girl. And this one sounded deeper, maybe because of this deadly proposal which I rather find sweet, the rocks, the cliff and the effort. I couldn’t imagine how he’s asked a colleague to take a picture of him holding that ipad with that question, knowing how tough and rough and cold of a person he was. “Pretty?” It was him. I was still out of words, I mean loud words, because in my mind I’ve already said a lot. “Yes, handsome?” That’s all I’ve managed to reply. “Of course I did, it’s a good photo. Why don’t you post it in your wall?” It was a joke, out of having nothing to say, I mean, of not knowing what’s right to say. But it was half-meant. I was so proud and I wanted to brag about this guy, and my name being in there. “You think so? Sure, pretty.” And I didn’t expect he’d go just like that. The next thing was seeing that photo posted in my wall, receiving flood likes and comments in favor of rekindling the love of us two. Yes, I answered yes to that deadly proposal. And now I was about to see him. I’d have to fly some miles before I get to be with Christian, my boyfriend. He’s based in Manila, and I’m at west of Visayas. He was my ex the last time I saw him. And that was months ago. The flight was smooth. No turbulence and I was able to take a long nap. I should have felt anxious, nervous, or conscious of how I look. But upon seeing my reflection in a glass wall on my way to the arrival area, I realized how terrible my state was. I should have applied face powder or combed my hair at least. There are hundreds of people on the other side of that glass wall, but my eyes instantly located him, and he was already looking at me, smiling – too late for me to go back and fix myself to look, well, presentable. I was getting nearer, and my steps felt lighter. My blood rushed abnormally all over my body, and that’s when I realized I felt nervous. I tried to walk composed, and prepared to receive a kiss. It’s going to be our first kiss after getting back together. I knew he’s going to kiss me. Surprisingly, the thought didn’t give me shivers like how it usually does when I think of him kissing me years before. So I thought maybe I wasn’t that in love with him like before. 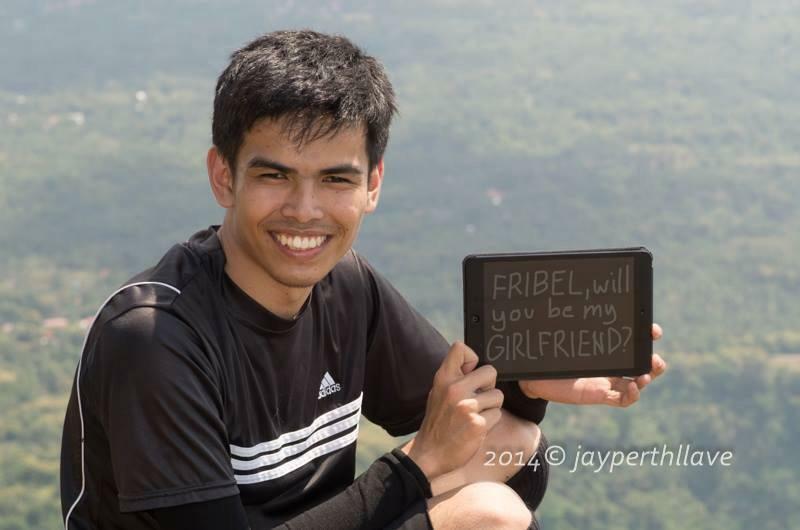 Maybe I was just carried away by the sweetness of his mountaintop proposal, that’s why I accepted his love again. Maybe I wasn’t really in love with him. Just when I was a step or two away from him, he threw himself to me and wrapped me tight in his arms. “You’re here.” I heard him say. His heartbeat sounded louder than mine. The hug was long. And I remembered thinking he’s going to greet me with a kiss. I was wrong. Actually, I was expecting. His embrace loosened. He distanced himself from me, creating a thin space between us. And suddenly, suddenly, he kissed me. But it felt like I was drugged. I couldn’t move for moment. My heartbeat raced out of rhythm. Just what was that? “So, how is my girlfriend?” He was smiling. And he was really handsome. And I thought I was going to melt.